The Chinese do this in two ways. First, US firms that want to do business in China are required to have a Chinese partner and to share their technology with that firm. That compulsory sharing of technology is explicitly forbidden by World Trade Organization rules. Since joining the WTO in 2001, the Chinese have ignored this rule and disingenuously claim that US firms voluntarily agree to share their technology because they want to be active in China. Second, the Chinese use the Internet to enter the computer systems of US firms and steal technology and blueprints. Chinese President Xi Jinping agreed with then-President Barack Obama in 2015 that his government would stop doing this. But, after a temporary decline, such cyber theft has resumed, presumably because state-owned companies and others have the ability to reach into the computer systems of US firms. Despite Trump’s upbeat talk about progress in the talks, there is no suggestion that the Chinese will agree to stop stealing technology. Instead, China’s chief negotiator, Vice Premier Liu He, has emphasized that the Chinese will reduce their large bilateral trade surplus by buying US soy beans and natural gas. A sharp reduction in the US trade deficit with China would enable Trump to claim victory and give him something to celebrate when Xi visits him at his home in Florida sometime in the next few months. 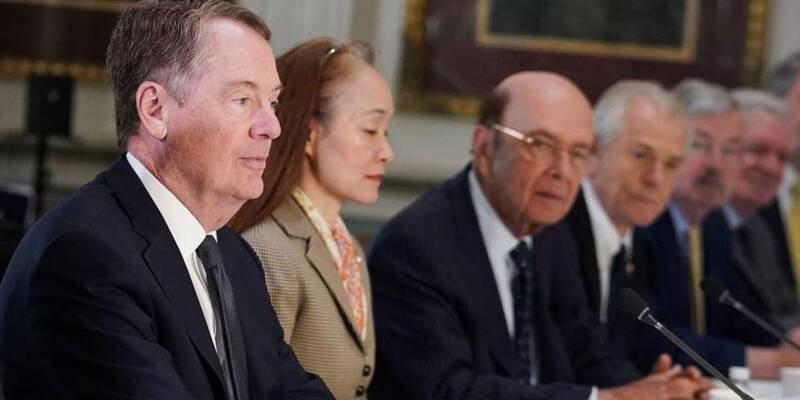 There are easy bragging rights in a dramatic reduction of the US trade deficit with China, which, year after year, has been the largest of America’s bilateral trade deficits. In 2017, the deficit with China was $375 billion, or two-thirds of the total US trade deficit. So the Chinese are clever to offer to buy enough US commodities to cut that very visible imbalance. But while that would reduce the bilateral trade deficit with China, it would have no effect by itself on the total US trade deficit. As every student of economics knows, a trade deficit reflects the fact that a country chooses to consume more than it produces. And as long as a country consumes more than it produces, it must import the difference from the rest of the world. If the Chinese do buy enough to reduce the bilateral trade deficit, the US would end up importing more from other countries or exporting less to other countries. The total US trade deficit will not decline unless the US reduces total demand by saving more. That is a matter for US policymakers; it is not something the Chinese can do for America. US Treasury Secretary Steven Mnuchin has emphasized another largely irrelevant Chinese offer: a promise to prevent the value of the renminbi from declining relative to the dollar. While a stronger renminbi would make Chinese goods less attractive to US buyers, thereby reducing the bilateral trade deficit, it would not reduce America’s global trade imbalance. Moreover, although the renminbi-dollar exchange rate does vary from year to year, the variations have been small. Today, a dollar buys CN¥6.7; a year ago, the dollar exchange rate was CN¥6.3, and two years ago it was CN¥6.9. A decade ago, in February 2009, a dollar bought CN¥6.8. In short, there is nothing to celebrate if the Chinese agree to stabilize the value of their currency relative to the dollar. The key issue is technology theft. Unless the Chinese agree to stop stealing technology, and the two sides devise a way to enforce that agreement, the US will not have achieved anything useful from Trump’s tariffs.